Facebook is the largest social media platforms in the world with 1.86 billion monthly active users in early 2017 according to Facebook. Over a billion people log into Facebook every day. A Facebook marketing campaign has potential to reach the majority of population in Australia and most of the young audience. Facebook marketing also happens to be one of the cheapest means of online marketing and with an ad budget as small as $500 per month you could make a great impact for your business! 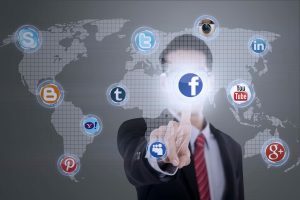 Why hire a facebook marketing manager? Facebook is a very popular platform and almost everyone knows how to use it for personal needs but not many people know how to effectively use it as a marketing tool for business. The first and ongoing step with a Facebook marketing campaign is to build an audience. It takes very long to build an audience organically so we recommend you spend some money on Facebook ads. Facebook offers amazing opportunities to reach the right customer thanks to the range of filters available. You can choose to target people by their demographics and interests. When setting up a Facebook marketing campaign it is important to define the message you want to communicate and who your target customer is. You can only build engagement when there is a match between your message and your customer. If your customer cannot related to the message you are trying to spread they will not engage with it. Management of a Facebook marketing campaign is a time consuming task as it requires a lot of research, content preparation and publishing, scheduling of the content, responding to the comments and engaging with the audience. Make sure you know what you are trying to achieve with your Facebook marketing. Are you trying to build a brand? Or are you trying to promote a product? The difference between the two is in the outcome you expect to achieve. If you are promoting the brand all you want is for prospects to keep engaging with your page. If you are try to sell them something then you want to take them off your social media page and get them to go onto your website and either purchase or enquire. Facebook marketing campaigns can have both goals so you will need to have two strategies within one strategy. A combined Facebook marketing strategy of build the brand and sell the product is more complex as you don’t want your prospects to feel like they are constantly being harassed into buying from you. With effective Facebook marketing management you will be able to maximise your reach and achieve your goals as a business.